American lifestyle brand Fossil Group, which owns and manages a number of brand licences, has announced the launch of a host of smartwatches under its umbrella. The list of products launched today include Venture HR and Explorist HR under Fossil brand, Falster 2 for Skagen, Access Runway for Michael Kors, the new Connected watches for Emporio Armani and Armani Exchange, and Full Guard for Diesel. As against the previous range of hybrid smartwatches that fused the form of analogue wristwatches with activity tracking features, the latest generation of products are full-fledged smartwatches. While the new smartwatches differ in terms of the product brands and their respective designs, all of them are powered by the Qualcomm Snapdragon 2100 platform, and run on the latest version of Wear OS by Google. Each of these watches have an integrated, always-on heart rate sensor. While individuals can manually track heart rates, the firmware in these watches include certain watch faces that facilitate regular reading of heart rates, and also track heart beat rates over specific time periods. The watches also include native GPS sensors, which give them the ability of untethered GPS tracking. This can be used by activity enthusiasts to track their running/cycling routes or even use apps to navigate new areas without needing to access their smartphones. Despite being aimed at the premium sub-luxury lifestyle segment, the smartwatches from these brands are also presented as full-fledged activity trackers, and the added robustness is shown in the rated 3 ATM waterproofing rating. 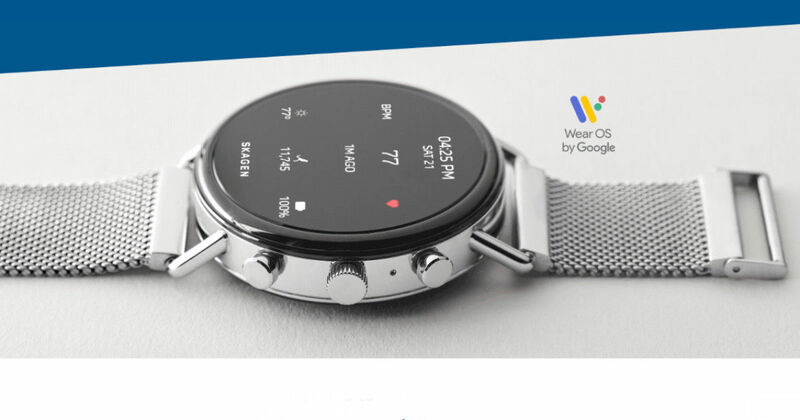 Powered by Wear OS, all the watches come with Google Assistant, which can be accessed via voice commands to the watch itself and without the need to use a smartphone. The smartwatches are also NFC-enabled, allowing them to execute one-tap automatic payments via Google Pay.